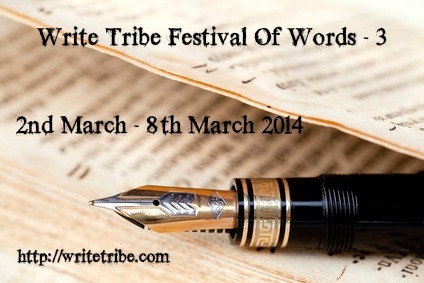 HomeWRITE TRIBEwritten for write tribe-festival of words March 2-8. Rashi rushed towards the public transport bus,which was the only commutation available for her to reach her campus.Her typhoid had camouflaged the major part of her academic year,as she stood mute to the impairment conferred upon her by the disease and today was the last date to collect the admit card for her postgraduate exams.Feebly she climbed up the bus, to scuffle two hours,necessary to reach her destination.A nauseating feeling engulfed her as she got down.Typhoid didn’t let her body assimilate the meager morsels she had in the morning.She puked and was almost about to faint when a middle aged woman almost took her in her arms,made her sit on the bench beside and sprinkled water on her.She arranged a rickshaw for her to reach the campus. “Oh my goodness!” sighed Rashi,at the ten people who stood in the queue, before her to collect the admit card ,as her body refused to be in tandem and struggled to gather herself to walk towards the window to request for her admit card.And as she felt as if angels stood guard for her that day as a familiar face with that angelic smile asked her subordinate to handover the admit card.